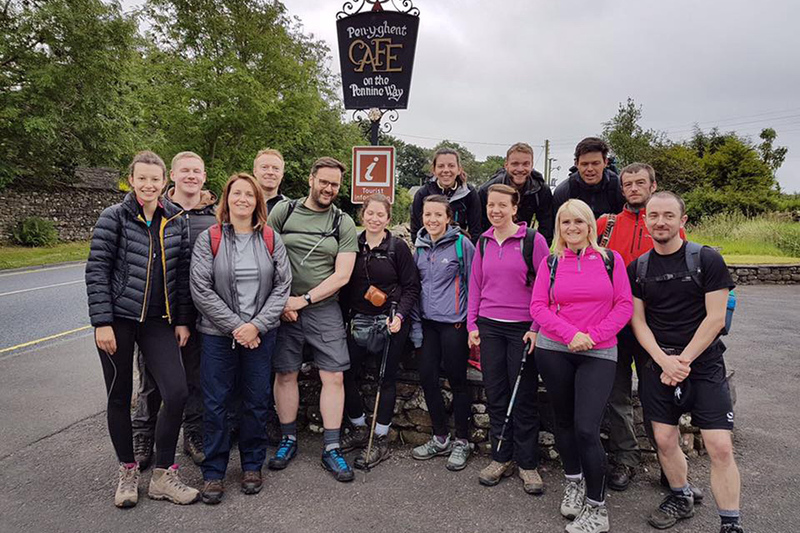 One of the toughest endurance walks in the country, the Yorkshire Three Peaks Challenge is certainly not something to be attempted half-heartedly. Taking on the peaks of Pen-y-ghent, Whernside and Ingleborough, each a landmark on the Pennine range and towering above the River Ribble valley in the Yorkshire Dales National Park, it is a route of around 26 miles and and includes 5,200ft of ascent. “The day started in fine weather, a little overcast but there were a few glimpses of sunshine to encourage us.” But perhaps Kate spoke too soon, as the weather on the summit of Ingleborough was shrouded in low cloud, with plenty of rain and strong winds thrown in for good measure! The walk was completed in under 11 hours, so a great achievement by all involved, and Kate herself raised over £240 for Friends of Fairoak. If, like Kate, you would like to help raise funds for Friends of Fairoak, please email enquiries@fairoakhousing.co.uk or call us on 01539 720 082 and we’d be happy to chat through ways you can support us.